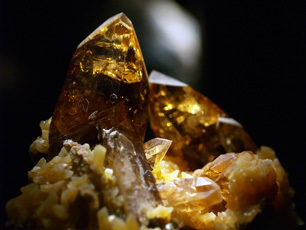 Sufates are present in disolved minerals like barite. Sulfates (SO4) are naturally occuring substances found in most waters. They're present in many disolved minerals, including barite, epsomite and gypsum. Sulfates and sulfuric acid products are used in the manufacture of fertilizers, chemicals, and in many other industries. Of particular concern are groups within the general population that may be at greater risk from the laxative effects of sulfate when they experience an abrupt change from drinking water with low sulfate concentrations to drinking water with high sulfate concentrations. Bacteria which feed on sulfate are the main cause of hydrogen sulfide H2S . Sulfate is easily removed by reverse osmosis (97 to 98%), and sulfates can also be reduced by a strong base anion exchanger.